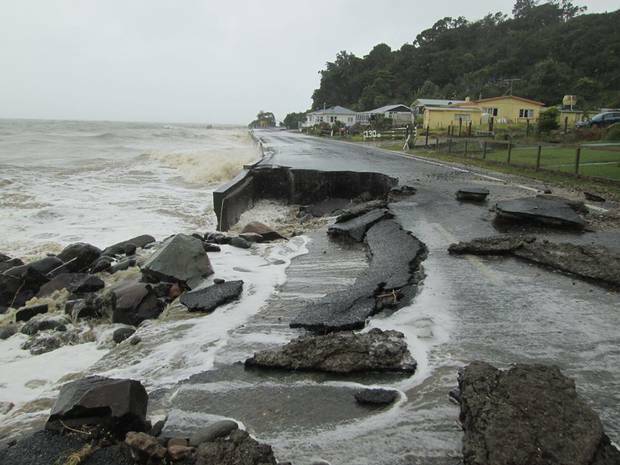 The monster storm that is ripping across the country is destroying a state highway in the Coromandel. 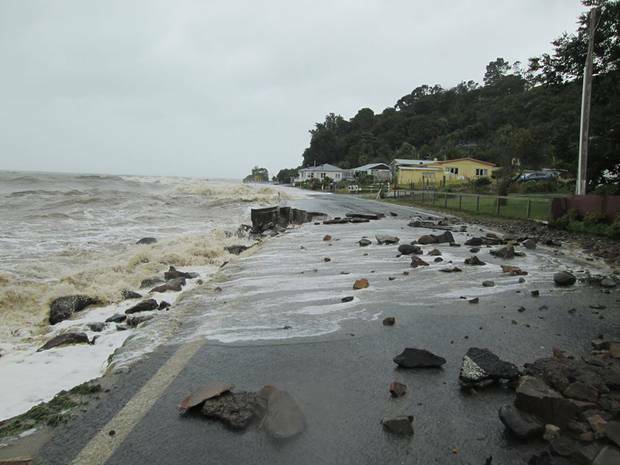 The Thames-Coast Rd is closed from Thames to Manaia due to multiple slips, rock falls and dangerous conditions. Photos show the road with large holes bashed into it. Loose chunks of asphalt have been flipped over by the waves. Possum trapper Chris Brausch has lived in Whakatete Bay for five years and never seen weather close to what he was experiencing today. Normally the water was 3m below the road, but today it was at road height with waves crashing much higher. He described the carnage around him. “The waves were destroying the road like it was building paper. The half that remains is covered in debris and much of it is crumpled. “The waves have just taken away the boulders that were defending the road then the waves have got underneath and on top of it destroying the asphalt. Brausch said the road was down to one lane as the other side was destroyed. Brausch lived in an elevated property so wasn’t concerned about being flooded out. He also had plenty of water and gas in case they were cut off for a time. Letterboxes can be seen popping out just above the water level in some areas in Te Puru and the boat ramp there is invisible due to the rising ocean. 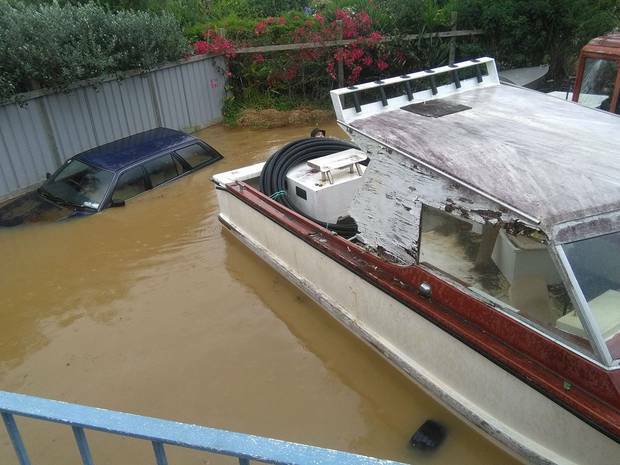 Waiomu woman Shona Fox’s car and boat were flooded in her back garden in the Coromandel town. She said the water rose within 10 minutes to almost chest-height.